For the newest models and highest quality Airsoft guns Palco is your source. Licensed by some of the most famous brands in the world, Palco replicates the most classic and sought after firearms in authentic appearing Airsoft versions to make your Airsoft experience as realistic as possible. 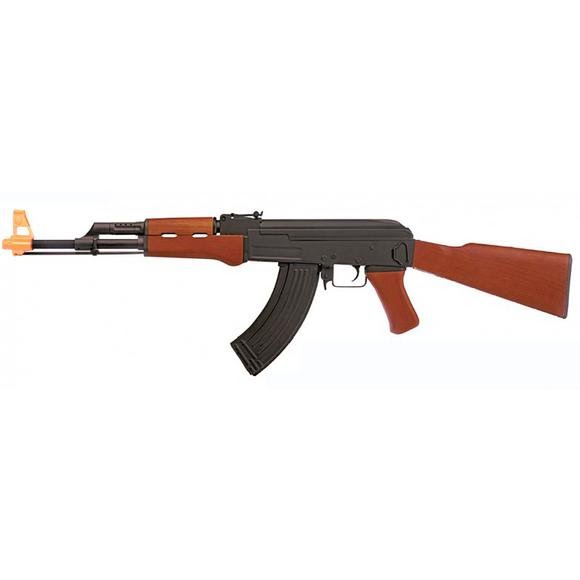 One of the most recognized rifles in the world, the AK-47 designed by Mikahil Timofeevich Kalashnikov is brought to you by Palco in a combat ready Airsoft variant for entry-level Airsoft warriors. In accordance with Federal Law all Airsoft replica firearms have a safety orange muzzle tip. Any attempt to remove the orange safety tip is a violation of Federal Law.